Imagine an exclusive residential enclave perched on a bluff overlooking one of the prettiest bays and stretches of coastline you’ve ever seen. With mesmerizing ocean views, magical sunsets and an unparalleled closeness to nature. 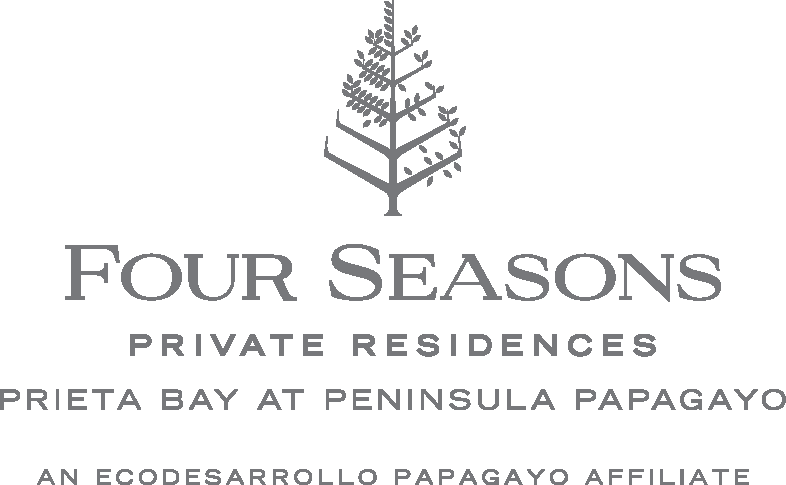 Introducing Four Seasons Private Residences Prieta Bay at Peninsula Papagayo. The ultimate home away replete with every creature comfort and convenience. Including personalized Four Seasons service, carefree property management and coveted insider access to one of the most captivating eco-adventure playgrounds in the Pacific Americas. The ultimate home away for those who know and appreciate the best. 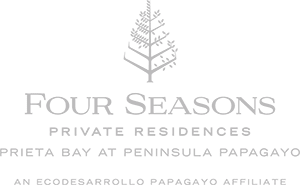 Camouflaged among the native leafy trees and fronting one of the Pacific’s most dramatic coastlines, this final offering of Four Seasons wholly owned residences on Prieta Bay was designed especially for nature lovers in search of heavenly comfort and effortless resort-style living. Just 20 private residences set on 17 irreplaceable oceanfront acres. Steps from two spectacular uncrowded beaches, where the warm sands and water sports of Playa Prieta and Playa Virador await. Here, a hidden path winds through a centuries-old seasonal forest to the renowned Four Seasons Resort Costa Rica. Another leads to the ultimate member hideaway, Prieta Beach Club. And a protected 1,400-acre paradise surrounds you. There is no more amazing neighbor than nature. Ronald Zürcher’s iconic architecture is a Peninsula Papagayo signature that’s often imitated, but never duplicated. Here, Costa Rica’s native son defies doctrine by creating a contemporary offshoot of Peninsula Papagayo style for exquisite tastes. Innovative architecture takes inspiration from repeating patterns found in flora, fauna and pre-Columbian seals discovered on site. Casual furnishings and clean lines give a nod to minimalist modern design. The result is organic simplicity with an international sensibility that holds its inhabitants in nature’s profound embrace. High-energy efficiency and high-quality indoor environments are integral to Zürcher’s organic architecture. A performance-based design approach considers the entire lifecycle of each building—saving energy, water and resources. Green roofs and local materials are infused into the architecture with a Costa Rica sensibility. Stylish designs embrace pattern and texture through rich pinotea wood floors, white stone, statuary marble counters, canaletto wood cabinetry, laurel wood screens and terracotta three-dimensional accent walls that create a constant play of light and shadow. Four Seasons Private Residences combine luxury real estate with five star resort amenities and legendary Four Seasons service to create a lifestyle unlike any other. Prieta Bay homeowners will enjoy privileged access to all Four Seasons Resort Costa Rica amenities, featuring recently transformed restaurants and public spaces. Complimentary services include pre-arrival activity planning and arrival reception, priority reservations, signing privileges, direct billing, fitness classes, Kids For All Seasons, on-site transportation and Four Seasons Chat—delivering world renowned Four Seasons service in 100+ languages at the touch of a (send) button. The new Prieta Bay community will be fully managed by Four Seasons in perpetuity, with the promise of carefree ownership and effortless hotel/resort-style living. General services will naturally include doorman, bellman and 24-hour security, together with the maintenance of all common areas. Each service elevated by the local director of residences and a trusted team of professionals dedicated to the efficient administration of your homeowner association. Optional services offered by Four Seasons include a popular rental management program and array of à la carte services for the private areas, tailored to individual needs. One of the many benefits of Prieta Bay ownership is membership in Peninsula Papagayo Club, offering privileged access to world-class facilities, community events, wellness programming and co-created experiences for the entire family.